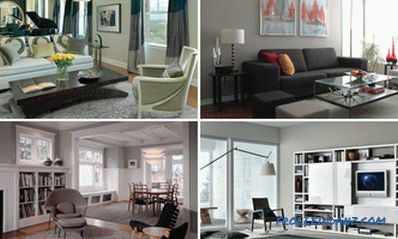 Those who got a new dwelling or decided to overhaul their old ones invariably have questions regarding windows. Which windows are better to put in a private house - wooden or plastic? And in a city apartment? And these questions are not rhetorical. Both those and other structures have their advantages and disadvantages. Today we will conduct a small comparative analysis to make it easier for you to make an informed choice between plastic and wood. The main element of any window is the frame. What are the differences in the device of plastic and wooden frames? 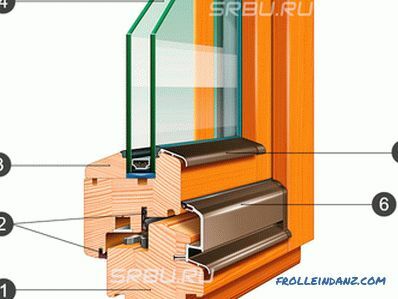 The frames of plastic windows are made of synthetic polymer - polyvinyl chloride (PVC). As blanks for them, polyvinyl chloride profiles are cut into pieces of the required size, which are hermetically sealed together with each other to form a skeleton. Inside the PVC profile is divided by partitions into several (from 3 to 8) chambers - hollow sections independent from each other. The more cameras, the higher the noise and insulation of the window. A reinforcing steel liner is inserted inside the middle, the largest in size of the chamber, which gives the frame additional rigidity and protects it from deformation. 5. L - shaped reinforcement. But these are plastic windows, to which everyone has long been accustomed and who do not cry out to anyone. What is wood? Of course, it will not be about the "carpenter", widespread in our country during the Soviet era, but about quality (and expensive) products. Externally, modern wooden windows look almost the same as plastic. And in terms of their durability, noise and heat insulation, they are not inferior to PVC windows. Since wooden windows with double-glazed windows originally came to us from Europe, they are often called erooknam. In the production of wooden window frames, not solid wood is used, but glued laminated timber. What are such difficulties for? Surely, many of you have come across a situation where during the summer period the window casements do not close well, in winter, on the contrary, between the same doors they are gaping with serious gap sizes. The use of glulam technology eliminates the problem of compressing / expanding the material as a result of temperature fluctuations. In terms of its elasticity, glued laminated timber is comparable to the reinforced PVC profile. Wooden blanks for frames are necessarily impregnated with special compounds that protect the wood from fungus, decay, insects, the negative effects of moisture and sunlight, and then primed and varnished. 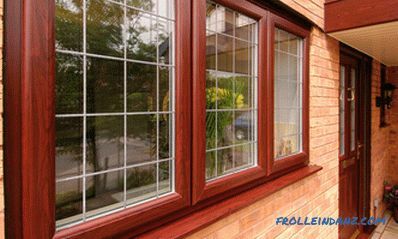 Double-glazed windows in wooden windows are used exclusively two-chamber. 1. 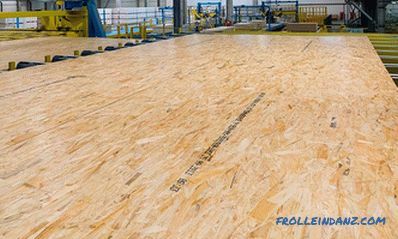 Three-layer glued laminated timber. One of the main indicators of window quality is its ability to keep heat indoors. The main window area is occupied by a glass unit, and it will determine the insulating properties of the entire product. However, in this review we compare only the frame material, so we will try to find an answer to the question: do wooden or plastic frames have better thermal insulation properties? To evaluate the thermal insulation properties of a material, the thermal conductivity coefficient is used. The lower it is, the less heat is lost through this material. For plastic, this figure is 0. 15-0. 2 W / m * K. The insulating properties of the PVC profile directly depend on its width and the number of chambers. oak - 0. 15 W / m * K.
Other things being equal, wooden windows retain heat better than plastic windows. 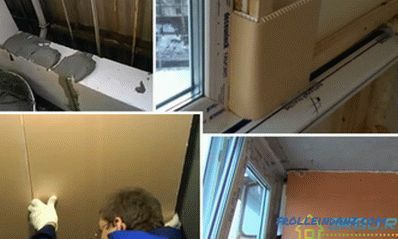 You have not forgotten the old Soviet windows, the huge gaps in which every year with the onset of cold weather needed to be stuck in order to reduce at least a little heat loss? With the advent of modern plastic and wooden windows, we got rid of this problem, but acquired another one. The slots on the woodwork brought us a lot of trouble, but they provided us with a constant supply of fresh air.Sealed modern windows tightly "clog" the room, preventing air exchange, resulting in increased humidity inside, and people lack oxygen. Let's try to figure out which window in this plan is better - plastic or wooden? Polyvinyl chloride is a material that does not let air in at all. So that in the room where the plastic windows are installed, the air does not stagnate, regular forced ventilation is required. An alternative option is to install a ventilation valve on the window that provides fresh air even with the doors closed. Many in this situation rely on "breathing" wooden windows. Wood, being a natural material with a fibrous structure, is really capable of passing air. However, the amount of oxygen penetrating through the wood is so small in comparison with human needs that it can be safely neglected. In addition, the wooden elements of Euro-windows are impregnated with various substances that prevent wood rotting, loss of color, the appearance of grinder bugs, etc., and are coated with varnish. Such impregnation reduces the air permeability of wood even more. From all this it follows that wooden windows, as well as plastic windows, should be periodically opened to ventilate the room. Embedding the passive ventilation valve in a wooden frame is also possible today. The difference between wooden and plastic windows in terms of breathability is negligible. Both those, and others do not let through (or almost do not let through) the air, which means that the room must be purposefully aired. Today ecology concerns not only scholars, but also ordinary people, although the latter are mostly only on a domestic scale. Many are beginning to wonder how safe those or other materials around us. A lot of heated debates flared up around the windows. Let's hasten to cool down the heat of ardent opponents of plastic windows. Polyvinyl chloride, from which profiles are made, under normal conditions, is a chemically inert substance. It is not by chance that it is allowed for use in the food industry. Of course, do not forget about the various stabilizers, modifiers, pigments and other additives, giving the PVC profile its properties. However, manufacturers of plastic windows value their reputation and therefore carefully monitor the environmental cleanliness of their products, trying to replace all potentially dangerous additives with more harmless counterparts. For example, lead salts, previously used as a stabilizer for polyvinyl chloride, have been replaced by safe for humans zinc and calcium compounds. The products of all self-respecting enterprises that supply window designs to the market are being certified. The results of the examinations show that when exposed to sunlight and / or moderately elevated temperature, PVC profiles do not emit any substances in the room. We will, however, be honest to the end: an environmental problem concerning plastic windows still exists. And it will sharply rise in a few decades, when the service life of window structures installed today will expire. The fact is that the method of competent and safe disposal of polyvinyl chloride has not yet been found. Wooden windows are an excellent option for those people who, at a subconscious level, do not trust everything that is obtained by chemical synthesis. However, it is worth recalling to this category of consumers that ecologically impeccable wood in the production of windows is treated with all sorts of impregnations in order to protect against insects, mold, decay, and the negative effects of moisture and UV rays. All these compounds are also obtained by chemical means and in their pure form are also not beneficial for human health. Wood wins plastic in the race for the title of "The most environmentally friendly material." However, all the "horror stories" about the dangers of plastic windows are groundless and highly exaggerated. To date, both wooden and plastic windows, produced in compliance with the technology, meet all environmental requirements and standards. Aesthetics are no less important than functionality. The windows should be beautiful, fit well into the interior of the room and not be dissonant with the view of the facade of the building. Compare plastic and wooden windows for their aesthetics and the ability to vary the appearance. You can make windows of any shape from polyvinyl chloride, including arched windows that are gaining popularity today. The only restriction concerns not the form, but the size: it is difficult to make too small and, on the contrary, too large sash. Striking variety and available colors. PVC windows can be painted in any color, as well as laminated to any texture, including any type of wood.But still, the artificiality of the material will be visible to the naked eye, which does not always add beauty to the windows. 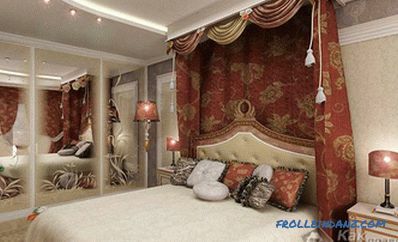 If you have a wooden house, the plastic windows, even laminated, will look foreign. Wooden windows do not have this disadvantage of their plastic competitors. Wood is a living material, which is why from an aesthetic point of view wooden windows have no equal. They are ideal for country cottages, they successfully fit into the architecture of old city buildings, perfectly complement the interior of modern apartments. There are two options for decorative protective coating of wooden window frames - varnish and water-based opaque paint. Most consumers prefer varnish, because it allows you to save the natural texture of wood. The color of the wooden window structures is determined by the type of wood from which they are made. However, if desired, you can use a special primer that gives the tree the desired shade. Using a primer, for example, a relatively inexpensive pine window can be given the color of oak, walnut or any other valuable wood species. This saves money and opens up great opportunities for designers. Another way to improve the cheap window construction is to cover its elements with decorative layers of more expensive wood species. Wooden windows, like plastic, can be arched, but in this case there are significant limitations on the size of the bend radius. From an aesthetic point of view, wooden windows are beyond competition. Plastic windows provide, perhaps, great opportunities for designers to implement a wide variety of ideas, but for any design they will look artificial. Any window, no matter how durable and reliable it may seem, can under certain conditions break or lose its original appearance. Which windows - plastic or wooden - better resist the ravages of negative external factors? Of course, we will talk about the strength and durability of the frames themselves, and not of the glass - the probability that the latter will be broken when a solid object falls into it does not depend on whether the window is plastic or wooden. So, what can happen to a PVC window? Under the influence of elevated temperature, the frame is not strong, but expands. As a result, if the window profile is not reinforced, it can be deformed. In addition, a frame made of low-quality raw materials will turn yellow with great probability. But, if scratches appeared on the plastic as a result of the carelessness of the owners of the house, this problem is easily solved. Modern wooden windows, unlike products half a century ago, do not unstuck and do not crack, however, you can expect unpleasant surprises from them. In particular, frames made of light wood gradually darken under the influence of sunlight. And accidentally left on a tree scratch you have to "admire" for many years and even decades. From this it follows that the owners of wooden windows when handling them should be extremely careful. A tree is a tree and, as it is not protected, may eventually suffer from rain, scorching sun, hail. Wood-aluminum can be an excellent alternative to wooden windows, combining all the advantages of a wooden structure and the ability of aluminum to withstand the negative influences of the environment. Wooden windows with aluminum covers. 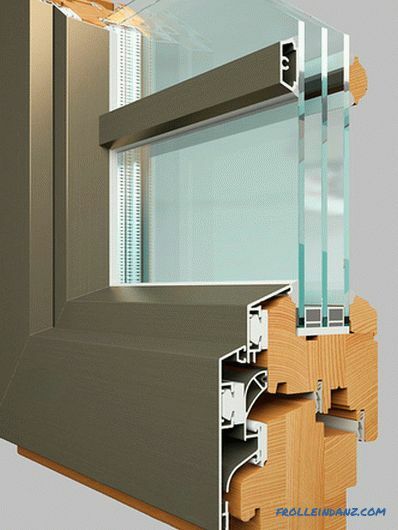 Plastic windows have greater strength and durability than wood. PVC is more durable: it has greater impact strength, is not afraid of moisture, does not need painting. True, all this is true only for profiles made from high-quality raw materials and with strict adherence to technology. Modern windows, whether they are made of PVC or wood, are good, but, alas, are not cheap. Therefore, every owner of a house or apartment who decides to install them in his home invariably raises a reasonable question: how long will such a window last? According to different estimates, the service life of plastic windows should be from 20-30 to 45 -50 years. This figure may vary depending on the properties of the compound used in the production of profiles, as well as on operating conditions. 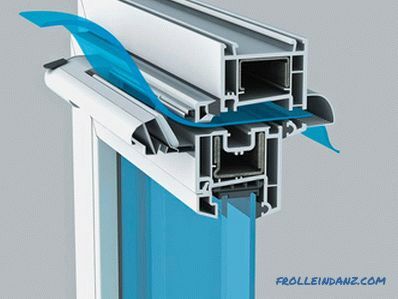 Many German companies, which are the undisputed leaders in the plastic window market, have developed and are constantly improving the production technology of PVC profiles specifically for the Russian climate with its characteristic frequent and strong temperature drop. The service life of wooden windows depends on the type of wood used in their production. Windows with frames of larch will serve you the same 50 years, but the pine has 55-60 years.If you did not stint and installed windows with oak frames in your house, then not only your children, but grandchildren and even great-grandchildren will be able to admire the surrounding landscapes, because it will last at least 90 years. Blanks for wooden windows are treated with special compounds that enhance their resistance to external influences, which contributes to increasing their durability. The service life of wooden windows can be longer than plastic. However, this is true only in the case when wooden windows are made with strict quality control and protected by the most modern compositions. Plastic windows are easy to operate. All that is required of you is to occasionally wipe the frames with a damp cloth, removing dust accumulating on them. Plastic does not require any special care. Modern wooden windows also do not cause much trouble, as it was with their brethren a few decades ago. However, from time to time you will still have to work hard: it is recommended to renew the coating of wooden frames after a certain amount of time. PVC profiles are easier to clean than wooden frames, since they do not require renewal of the external coating after a certain number of years. Installing new windows is not cheap. You can, of course, save on the quality of accessories, the thickness of the profile or glass. But does this savings make sense if in winter you have to walk around the house in sweaters and wool socks, if the glass frost on a frosty day, and a pool of condensate accumulates on the window sill? You can save on the frame material. Wooden windows are more expensive than plastic. The difference in their value is about 50%. A simple price comparison, however, is not entirely correct. The service life of a wooden window, as we have said, is longer than plastic, so it would be more correct to compare not the price of products, but the cost of using them per year. 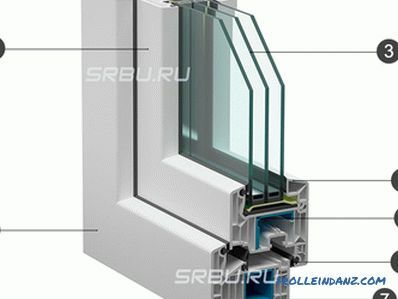 Having accepted the conditional cost of a plastic window for 10 thousand rubles, and having estimated its useful life at 50 years, we get that the cost of annual use will be 10,000 / 50 = 200 rubles. For wooden windows and the cost of the finished product, and its service life depend on the type of wood. For example, pine windows will last 60 years, while oak is about 90. At the same time, the former are on average one and a half times, and the latter are twice as expensive as plastic. 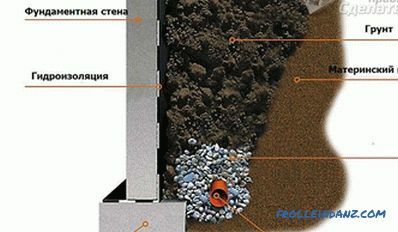 This means that the cost of annual exploitation of a pine window is 15000/60 = 250 rubles, and an oak window is 20,000 / 90 = 222 rubles. As you can see, plastic windows benefit from this method of evaluation, but now the difference does not look so significant. Wooden windows are more expensive than plastic ones, and this is one of the main arguments in favor of the latter. The comparison of plastic and wooden windows we made did not allow us to identify a definite leader: in some parameters the tree is superior to plastic, in others it is the other way round. Any final verdict rendered in this case will be extremely subjective, because for each person the characteristics being compared have different degrees of importance. For some, the main thing is that the house is warm, the other is important sound insulation, and others are ready to sacrifice everything so that the new windows harmoniously fit into the interior of their house or apartment. It is possible that many people were unhappy that they did not find a ready solution in our article. Alas, but the answer to the question of what is better - wooden or plastic windows, they will have to look for themselves.